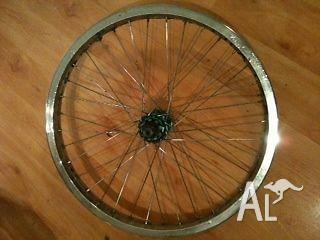 This is a super strong rear wheel, rim has no dings but the crome is pealing off. Wheel rebuilt with new spokes 6 months ago, New 9Tooth driver and driver bearings fitted only 2months ago so no wear to driver. 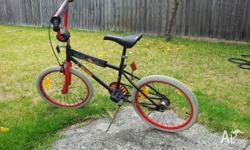 wheel is strong but due to the rim not to good looking. 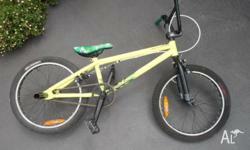 Specialized 415 BMX. 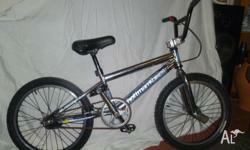 This BMX has hardly been ridden and still in great condition. Helmet is included. 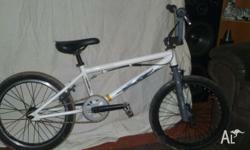 BMX in excellent condition, hardly used. 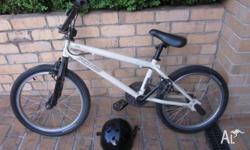 BMX bike( 16inch ) plus helmet.